Monster Truck Driver 3D – Get Into The Monster Truck Mode! 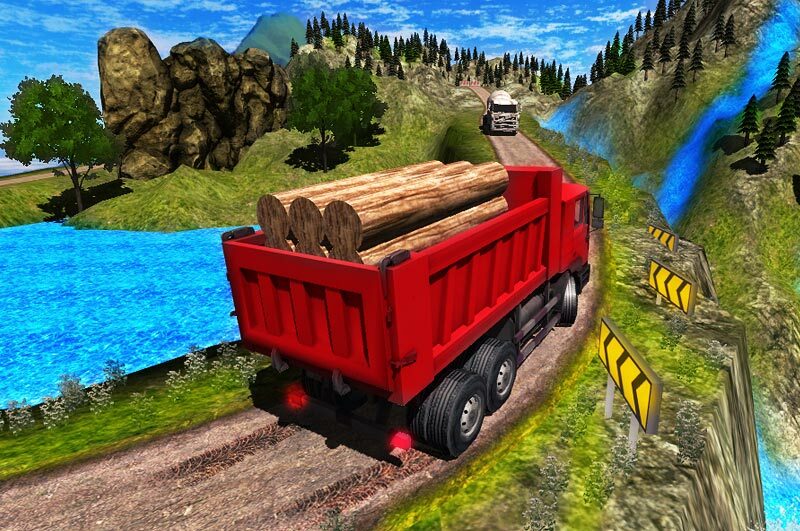 Get out of your comfort zone with Monster Truck Driver 3D! 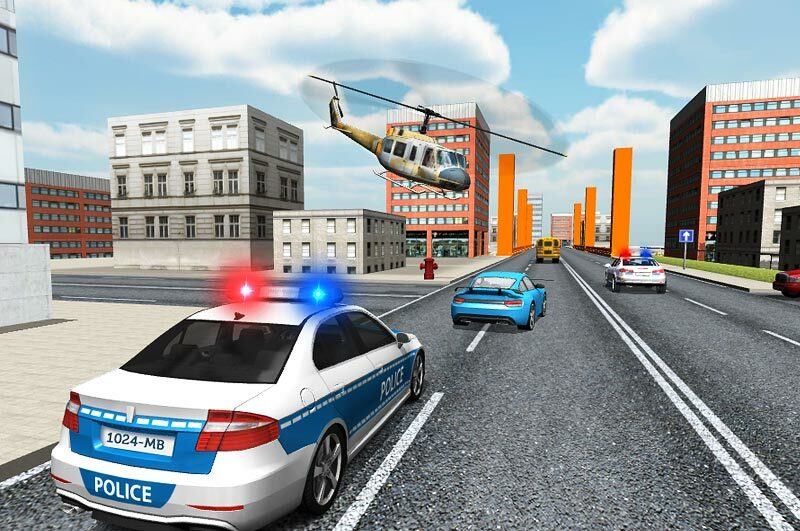 Developed by GameDivision, this is a physics based three dimensional game that is set to boost your fun quotient. The game gives you your dream off reading experience. The game features four monster truck types to choose from to begin with. Colors include red, flame blue, orange, and green. The challenge involves reaching the designated check points through challenging terrains. There are 24 levels, each level more exciting than the previous one. The number of check points increase as you go higher up the levels. The number of obstacles also increase, in the form of wooden logs that are randomly strewn. Crossing the logs is the trickiest thrill of all ! 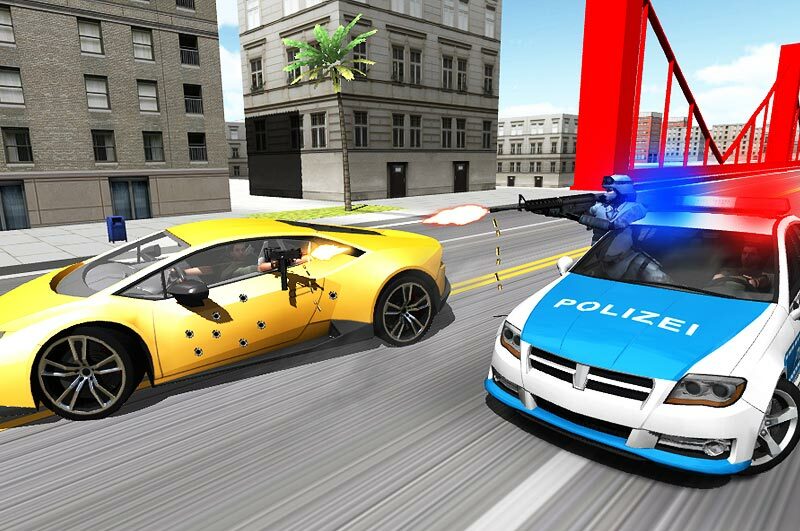 The accessories such as brake, accelerator, steering all can be upgraded once player has enough cash. The cash can be earned by completing the challenges and also by doing burn outs. The points or cash you collect let you buy new trucks or upgrade your truck with fascinating features. As the monster truck accelerates, it encounters mountainous terrains or pits. The tyres tend to skid over the pits, creating a burn out. The sounds as the tyres burn out are realistic! The only background sounds you hear are the burn outs , brakes, acceleration , and gear changing sounds. There is no irritating background music. The tyre burn outs earn you points. Terrains range from rocky mountains to narrow pathways with stunning scenery. There are wooden barricades placed randomly in the path. They may have to be broken in order to reach the check point. The vehicles are monster trucks which are lifted, that find no difficulty in crossing undulating terrains. The suspension has been tuned in such a manner that the vehicle has more ground clearance than normal vehicles. The high ground clearance allows the monster trucks to manoeuvre across the tough terrains easily. The controls are easy, with arrows for steering situated on the left of the screen. Accelerator and brake pedals are located to the right of the screen. There is a red arrowhead for navigation, which helps you head towards the check point. Wooden logs are placed randomly on the path that you would suddenly encounter. The monster truck has to go over the logs physically to clear this obstacle. Going over the wooden logs can be very tricky, as the monster truck tends to lose control. The bouncing off the logs can make the truck unsteady and difficult to handle. The logs are really dangerous sometimes as it can make you go off the mountain edge if you are not careful ! The truck can also crash if you drive off the trail, or get into water, or overturn by speeding. While speed can thrill, it can also kill..the race, that is. Driving skills are absolutely required to meet the challenges. The terrain involves thrilling high definition graphics with realistic looking challenges such as bridges and water streams and so on. The monster trucks feature realistic dynamics such as suspensions, flexing and so on. The controls of the vehicle are difficult to handle, as the vehicle has poor handling initially. But upon upgrading, you can improve the vehicle’s response and handling. The monster truck looks realistic with the body of a normal vehicle with a modified chassis. 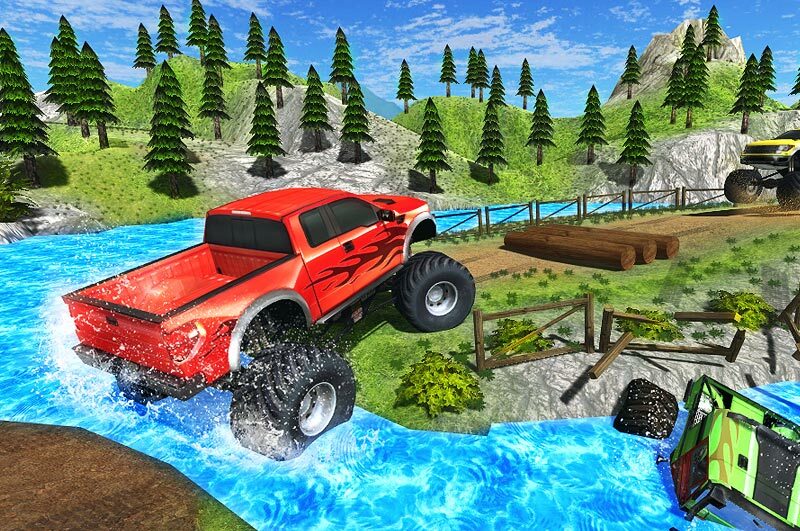 Monster truck driver 3D also has the feature where you can go off road. By straying off the path, you can explore the stunning terrains and discover its challenges. You can join always get back to the main trail, provided you do not veer off the cliff!